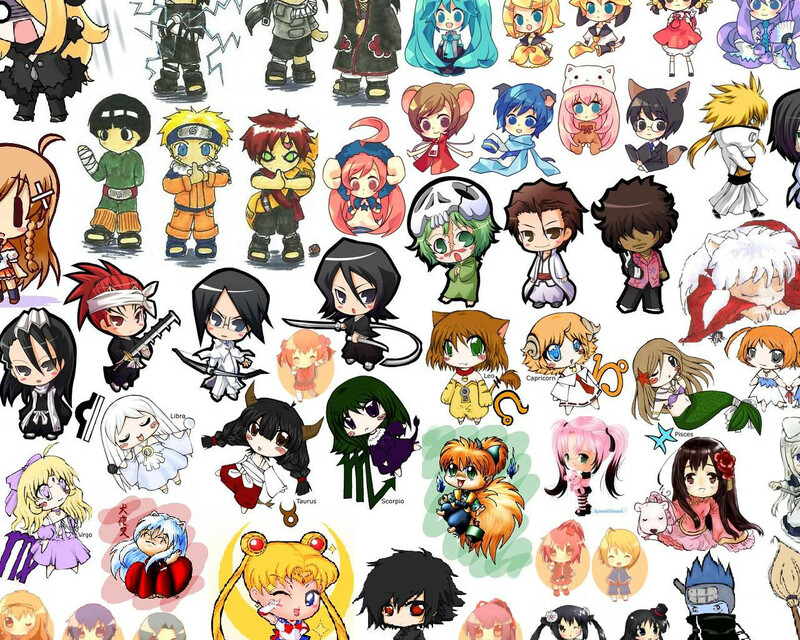 In anime and manga, there are versions of characters' drawings that are called "chibi" or "super deformed". What is the history behind this, and when did drawing chibi versions of characters start? The use of chibis was supposedly started due to Sailor Moon. They also use chibi characters to show smaller children as the actual meaning of the word is "short person" or "small child." Another reason for chibi drawings could also be for truer expression of the subject's characteristics. They sometimes express the true nature of the character. The person may lie, but a chibi may say the truth within the individual's mind. A chibi could also express a nature, like massive anger hiding under a cool, calm exterior. For example; the character Hiei, from the popular anime/manga YuYu Hakusho, is often quite calm, hiding his true bloodlust and love of fighting which show themselves only through his chibi form, as seen in the 7th book of the manga. This is also used in the popular anime Naruto with Sakura's true form. It is an easy way to show sides of a characters personality that might come across as awkward or overly serious without this use of comedy. Chibi is not always used for these reasons though; think of Katekyo Hitman Reborn. There, the chibis are used as a curse. This still gives a lot of comedic value and helps with the storyline. However, it's not really used to express the characters' nature or for small children.